The bathroom. It’s arguably the most popular room in the house. And it’s also one of the first rooms that Sacramento homeowners choose for a remodel. Whether you’re looking to do a few minor things to renovate your bathroom or you want a full scale remodeling, you can trust the professionals at Spectrum One to handle all your bathroom remodeling Sacramento and surrounding areas. Call Spectrum One today at 916-571-2830 to schedule your no-obligation consultation, and find out just how easy we can make the bathroom remodeling process! You may not realize it, but your bathroom is one of the most-used rooms in your Sacramento home, and is susceptible to a lot of traffic. On top of this, considering that the bathroom is where you go to “get clean,” this means that a lot of dirt and tiny debris can accumulate over the years. Add to this all the moisture that accumulates in a bathroom throughout the course of a day, and you can quickly see how a once-beautiful bathroom could appear dirty and dingy after several years of regular use. Even regular cleaning and scrubbing can take its toll on your bathroom. Harsh chemical cleaners can eat away at your floors and scratch and scrape your tub, shower and toilet. The end result is that your bathroom looks disheveled and dirty, even after you cleaned it! Professional bathroom remodeling can restore your bathroom’s natural luster while giving you the look you’ve dreamed of – one that’s modern, unique and exquisite from start to finish. The good news is that transforming your bathrooms from dingy to sparkling, cramped to open, and flailing to functional can be accomplished by a remodel using the go-to experts at Spectrum One. Here’s how we help residents all across Sacramento and surrounding areas enjoy their new bathrooms with even greater enthusiasm! 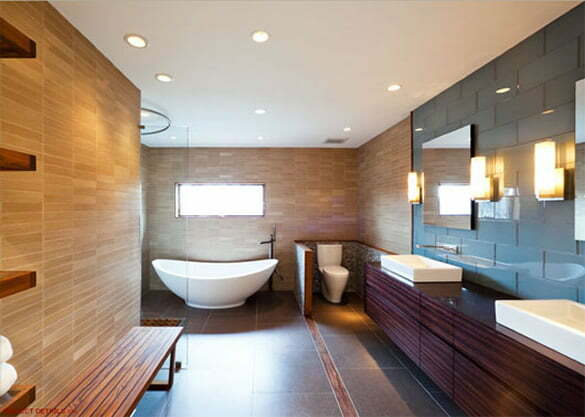 What Happens During the Bathroom Remodeling Sacramento Process? The first step in achieving the bathroom of your dreams is by calling Spectrum One and scheduling your consultation. 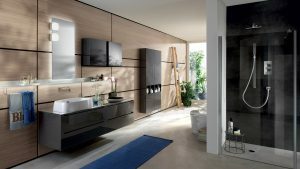 During our meeting, we’ll take a look at your existing bathroom and find out what you would like to change about its current setup. In other words, do you need better accessibility? More modern décor? A focus on ease of maintenance? Whatever it is, we’ll listen to your needs and craft a customized plan, including pricing and timeline. We welcome you to ask questions throughout the planning process so that you can better understand exactly what our work entails. We’ll answer all of your questions to your complete satisfaction because we understand that a remodeling is quite an undertaking. A bathroom remodel is one of the most important steps to adding lifelong value to your home – whether you’re consider selling it or not. Don’t be surprised if, after the bathroom remodeling in your Sacramento home, your guests remark on how beautiful it is! From there, the Bathroom Remodeling professionals at Spectrum One will begin designing your new bathroom, which may involve the services of our trusted architects and engineers. Afterward, we’ll pull all the necessary permits from the Building Department (don’t worry, most of the folks at City Hall know us by name, which can often make the permitting process much faster! ), and get to work. Then, after your bathroom remodel is complete, we’ll conduct a thorough walk through, make sure everything exceeds your expectations, and will then leave you to enjoy your brand new, custom bathroom. Of course, many homeowners think a bathroom remodel is all about major components like the flooring and shower, but there are many other things to think about as well – especially if you’re doing a significant overhaul. Let’s take a closer look at precisely what’s involved. What Types of Products Does We Use for Bathroom Remodeling Sacramento? Tile is obviously the most popular choice when it comes to bathroom flooring, but you’ll need to make important decisions about type, coloring, design patterns, as well as custom features such as radiant heating that can help keep your feet warm. Do you prefer long soaks in jetted bathtubs, or do you prefer showers? Do you need more than one sink? Are you looking for the epitome of luxury, or are you on a tight budget? These are important decisions you’ll need to make during the design process. Next to flooring, the countertops and cabinets will be one of the most visible features in your bathroom, which means that you’ll need to choose colors and designs that are not only functional, but that are also beautiful and match the décor of your bathroom’s other features. Perhaps one of the most overlooked aspects of bathroom remodeling Sacramento, lighting brings all the other design elements together, and can even have a huge impact on functionality (after all, it’s impossible to shave or apply makeup in a dimly-lit bathroom!). Will My Bathroom Remodel Take a Long Time? In general, Spectrum One’s more than two decades in business means that we provide Sacramento homeowners with high-quality bathroom remodels in as little time as possible. However, important factors such as the size of your bathroom and the features you’d like to have installed during your remodel can have a big impact on the overall timeframe. During your one-on-one consultation, we’ll be sure to provide you with a detailed timeframe for your bathroom remodel, so you’ll fully know what to expect well in advance. Can Spectrum One Install Green Bathroom Products During My Remodel? Of course! Here at Spectrum One, one of our biggest passions involves all things green, which can not only help the environment, but can also help you save money each month as well. Be sure to ask your Spectrum One professional about all the green options you can include in your bathroom remodel, and we’ll be sure to include these in your detailed, no-obligation estimate. We understand that you’d like to care for the planet while caring for yourself, and our eco friendly materials can help you do it! Whether you want to minimize your carbon footprint or save water (or both!) 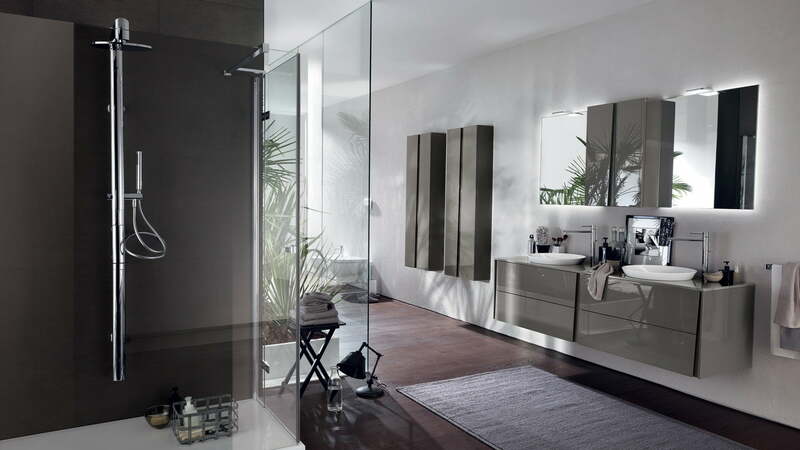 – the team at Spectrum One can help your green bathroom dreams come true! On Average, How Much Does Bathroom Remodeling Sacramento Cost? 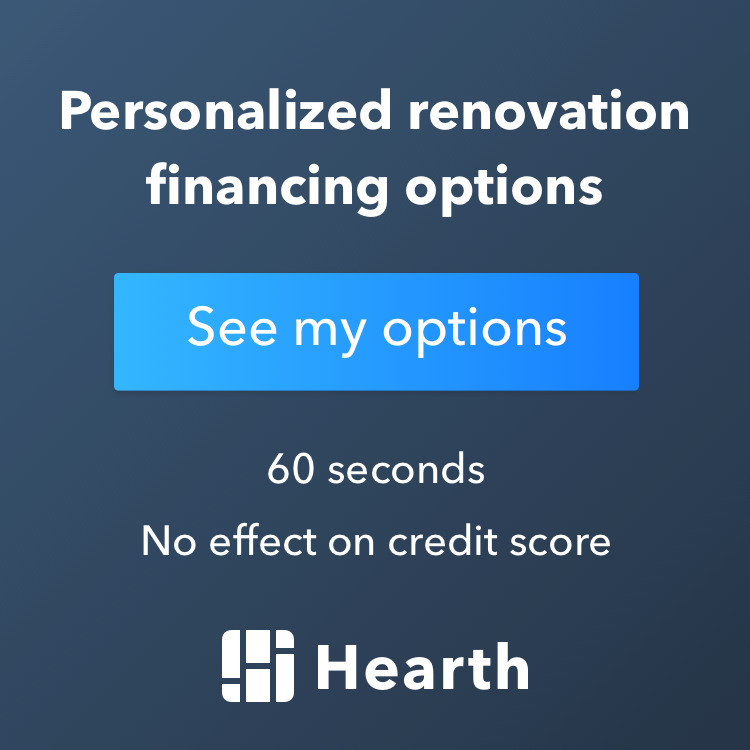 Unfortunately, there is no “average” cost for a bathroom remodel in the Sacramento area, because there are so many factors that can have a big impact on cost. Everyone is different, and every bathroom is different. Even minor things can vary in price, so it’s impossible to come up with a truly “average” price. We take into account a variety of needs and custom features so that no two bathroom remodels are ever alike. The good news is, we have over two decades of experience in remodeling Sacramento bathrooms both large and small. After we’ve discussed all your bathroom remodeling requirements during your consultation, Spectrum One will be able to provide you with a written, rock-solid estimate for only $125, which will get credited to you as a discount at the time of signing a contract. We invite you to compare our rates with other Sacramento home remodelers and bathroom remodelers in the area. Be sure to ask about what’s included in their price and how dependable their estimate is. Many inferior remodelers will give you a cheap price, free estimate, and then use cheap materials that wear out or break easily. We use only the strongest, highest quality materials while keeping your remodel as affordable as possible. In short, we treat your bathroom remodeling project as if we were doing it for our own home. We use the best possible materials while keeping your budget (and our estimate) in mind. We take great care to ensure quality workmanship and we work quickly to make sure your newly renovated bathroom is ready to use in a reasonable amount of time. You can trust your remodeling project with the Sacramento home remodeling experts! Does Spectrum One Have Extensive Experience Remodeling Bathrooms in the Sacramento Region? Not only have Spectrum One’s owners been residents of Sacramento for well over 20 years, we’ve also been performing bathroom remodeling during much of that time. Because of this, we’ve earned a solid reputation for quality craftsmanship, outstanding customer service, and some of the most competitive prices around. Go ahead and call us for a no obligation quote and see for yourself how the Spectrum One can make a big difference in your home and on your wallet! We’ve worked in spaces of all sizes, doing minor and major overhauls. From floors to fixtures, tubs to toilets and everything in between, our seasoned team of bathroom remodeling experts understand the needs and wishes of Sacramento homeowners looking for a fresh new look and greater accessibility and comfort in their bathroom. We believe you deserve the very best, and with us, you’ll get it! But the truth is, at Spectrum One, we’re passionate about residential and commercial construction projects, so we’ll be happy to visit your Sacramento home, discuss your needs, and work up a detailed, no-obligation estimate for you to consider. During this time, we’ll also be happy to answer any questions you may have about the bathroom remodeling process, so that you’re going into it with as much information as possible. We’re all too happy to help answer questions or clarify any part of the process. We’ve helped homeowners who are entering a new phase of life, such as nearing retirement, and need more help getting around in the bathroom (without having to worry about slipping and falling!). We’ve installed new vanities and sinks and well as new flooring and fixtures of any kind. We’ve updated old bathrooms to look fresh, new and modern. As you can see, there’s a lot that goes into a bathroom remodel, but it doesn’t have to be overwhelming. Our professionals truly care about your needs and are fully attentive to ensuring you have the best experience possible from start to finish. By choosing Spectrum One as your Sacramento bathroom remodeling professionals, you can be sure of a job well done! Are you finally fed up with your bathroom, and you’re ready to achieve a space that meets not only your needs, but the needs of all the members of your household as well? If so, call Spectrum One today at 916-571-2830 to schedule your no-obligation consultation, and find out just how easy we can make the bathroom remodeling process! Let’s Start Bringing Your Dream Home To Life!